The thrilling second novel in the award-winning Caleb Zelic series, and winner of the Best Novel award at the 2018 Davitt Awards. Deaf since early childhood, Caleb Zelic is used to meeting life head-on. Now, he's struggling just to get through the day. His best mate is dead, his ex-wife, Kat, is avoiding him, and nightmares haunt his waking hours. Emma Viskic is an award-winning Australian crime writer. 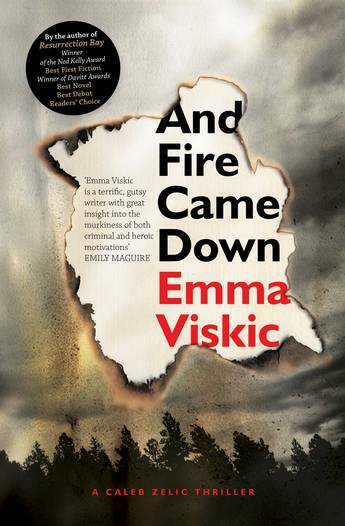 Her critically-acclaimed debut novel, Resurrection Bay, won the 2016 Ned Kelly Award for Best First Fiction, as well as an unprecedented three Davitt Awards: Best Adult Novel, Best Debut and Readers' Choice. Resurrection Bay was iBooks Australia's Crime Novel of 2015. Emma learned Auslan (Australian sign language) in order to write the character of Caleb Zelic. Also a classically trained clarinettist, Emma's musical career has ranged from performing with Jose Carreras and Dame Kiri Te Kanawa, to busking in the London Underground. She lives in Melbourne and divides her time between writing, performing and teaching.